Amazon rocked the pharmacy world in a big way, with the announcement of its estimated $1 billion acquisition of PillPack. How does the Amazon/PillPack deal impact independent community pharmacies? RapidPakRx is the first-ever system for adherence packaging designed specifically for retail pharmacies to complete a rapid, on-demand fill at the lowest possible cost. Amazon rocked the pharmacy world in a big way last month with the announcement of its estimated $1 billion acquisition of PillPack, a 5-year-old company that made a name for itself with pre-sorted medication dose packaging delivered directly to patients’ homes. The news, which broke June 28, sent pharmacy stocks tumbling, with shares of CVS, Walgreens and Rite Aid losing a combined $11 billion of market value in same-day trading. Spokespeople for the retail drug chains mostly downplayed the deal. So how does the Amazon/PillPack deal impact independent community pharmacies? William Homes, Founder and CEO of RxSafe, said he sees three major takeaways from Amazon’s move. In as little as 10 minutes, from label printing to handing the prescription to the customer, RapidPakRx can produce a 30-day supply of medications for as little as $5, including labor and materials. 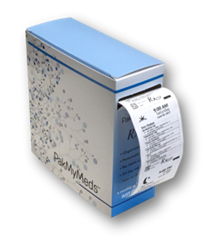 RxSafe also offers adherence strip packaging marketing services, known as PakMyMeds™. The program is designed to help independent retail pharmacies with packaging, collateral and marketing assistance to make adding an adherence program as simple as possible. To learn more about the Amazon/PillPack deal, visit the RxSafe Blog. RxSafe is the leader in automated, high-density robotic storage and retrieval technologies for independent pharmacies. Our flagship RxSafe system enables pharmacies to take control of their inventory management, enhance patient safety, increase narcotics security, and improve profitability. RxSafe's RapidPakRx adherence packaging technology enables pharmacies to custom package patient medications on demand. RapidPakRx produces multi-med pouches with unprecedented throughput, accuracy, and efficiency, as well as the lowest consumables cost in the industry. For more information, visit http://www.rxsafe.com.